Office referrals for both behavior problems and academic difficulties would decrease exponentially if teachers were armed with post-its. We use them all of the time to remind us to make copies, to jot down ideas, and to flag important pages in teachers’ guides, but it often stops there. Post-its stay in drawers, on desks, and at the bottom of bags. Let’s get them OUT! 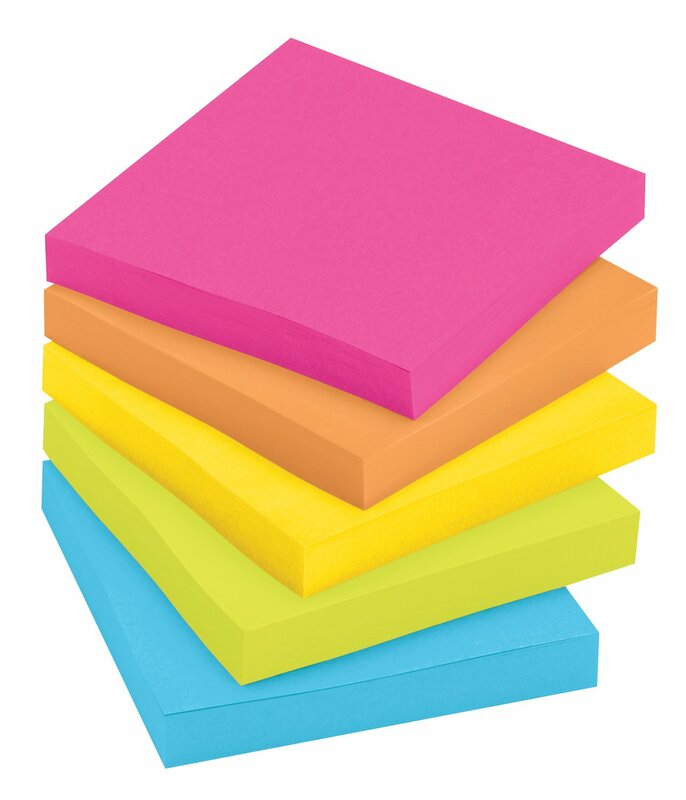 What if every teacher kept a pad of post-its in his or her pocket all day, every day? Simple post-it strategies can offer concrete, visual supports to help students understand expectations, remember directions, monitor progress towards a goal, and celebrate successes. I want teachers to see the simple magic of post-its–what a quick jot can do to help students succeed. In a collaborative teaching classroom, you see one teacher write down the three verbal directions that were given at the end of the mini-lesson on a post-it , and that post-its is then placed on the desk of the student who always had trouble getting started. Just a few boxes next to each numbered step, and this post-it is now a visual checklist for a student to easily reference and use. Maybe this time the student can start his work, when he would otherwise wait for the teacher to help. Maybe this time this student shows more focus to the assignment, as he checks off each step when they are completed. Maybe he gets to be the one to helps his classmate who forgets what she’s supposed to do next, rather than always being the one who needs the reminders. In a general education classroom, a teacher notices that a student keeps getting up to get water, sharpen her pencil, and chat with a neighbor. The teacher takes a post-it and says, “Let’s set a goal: 4 sentences or 6 sentences?” The student chooses the smaller goal, and the teacher draws 4 quick circles on a post-it and then adds “= a break” at the bottom. The teacher then explains, “After each sentence you write, put a star in the circle. After 4 stars, you can take a break.” This post-it visual provides clear goals, student choice, as well as an opportunity for self-monitoring and reinforcement, not to mention a movement break. Maybe this time this student is more motivated with this more concrete goal of 4 sentences, rather than the open-ended “write for the rest of the period.” Maybe this student feels more successful with each star she draws. Maybe she takes a break to celebrate a job well-done, rather than to avoid a task that feels impossible. In a self-contained classroom there is a student who started his day frustrated. Each period brings mounting expectations, demands, and feelings of failure. In this room, the teacher does not use post-its to list expectations, set goals, or monitor progress. Instead, he might jot down a quote from the student’s favorite movie or draw a sketch of the student’s favorite Minecraft character. This post-it is placed on the student’s seat so that it’s the first thing he sees when he comes back to his desk from a challenging lesson. After lunch, his teacher jots on a post-it, “Can’t wait for you to hear the read aloud this afternoon!” and just passes it to the student with a smile. Our work as educators is sometimes to put aside the demands of the curriculum, and to first meet the needs of the child. 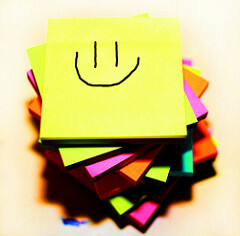 A quick post-it can provide reassurance, comfort, and maybe even a laugh. Maybe this time this student is able to smile and take a breath in the middle of this difficult day. Maybe he’ll be able to make one comment during the class read aloud. And maybe he’ll go through his day knowing that his teacher knows him a little better than he had thought, and maybe he sees that his teacher cares about more than just the schoolwork.